Facets of Barbara Egger Lennon's life depict an ordinary white Midwestern woman of her time: teacher, wife, mother. Her work as a union organizer and political activist, however, complicate that picture. The way in which Egger Lennon balanced these roles illustrates how many women of her time shaped their lives in the face of three significant forces: work, family, and politics. 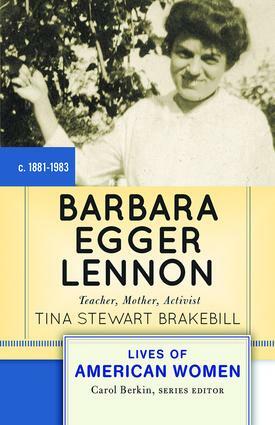 Enriched by years of her detailed diary entries, Barbara Egger Lennon: Teacher, Mother, Activist deepens our understanding of the ways in which work and political activism existed alongside the traditional role of women in the early 20th century.